It's one thing to give away plugins or sample packs for free, but something else entirely to give away an entire DAW. Yet, this is exactly what Tracktion has done for many years now, and has done most recently with the release of T7. Since 2015 the arrival of the latest DAW has meant that the previous iteration becomes entirely free, and T7 is the latest to become available. In no way a lite version, T7 comes packaged with all the features found in the original paid version that was released back in 2016. The only caveat is the lack of full technical support, but that's a small price to pay in our eyes. With unlimited numbers of audio and MIDI tracks, plugin support for VST instruments and effects and the ability to record, edit and mix your tracks, it's a no brainer for anyone short on funds or looking to try something new. 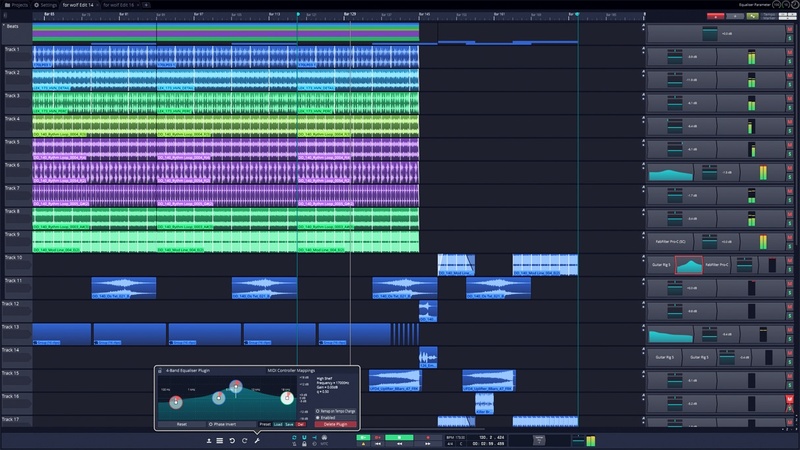 Tracktion T7 is available to download for Windows, Mac and LINUX from the link below where you can also see the full specs.